Meet The Cast of ICT’s Life Could Be A Dream! 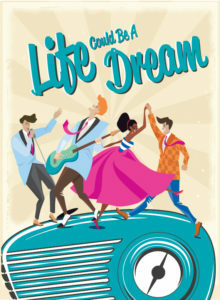 International City Theatre’s 2019 season is full of some amazing shows, starting off strong with Roger Bean’s Life Could Be A Dream; a musical full of all of your favorite 50’s and 60’s hits! Dream has already attracted a large audience, and expectations are high with this show. With an a-list cast, the well-tuned music direction by Bill Wolfe, and the watchful direction of Jamie Torcellini, Life Could Be A Dream is guaranteed to be a night full of nostalgia, laughs, and merriment! First up in our cast is Rodd Farhadi playing Eugene. Originally from Boston, Rodd grew up in Northern California and started performing at the age of 5. A recent graduate of UCLA’s school of Film, Theatre and Television, Rodd has been performing in film and theatre throughout Los Angeles for the last few years. Select theatre credits include The Hunchback of Notre Dame (Clopin), The Hollywood Bowl’s Mamma Mia (Eddie) Cabaret (Victor) and Sunday in the Park with George (George). Rodd has also training in improve with the Upright Citizens Brigade, and has been featured as Aladdin in several viral YouTube videos. Next up in our cast is Marisa Matthews playing Lois. 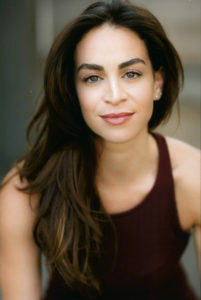 Marisa has an MFA in Acting and Performing from the American Conservatory Theatre in San Francisco. She performed in the world premiere of playwright Peter Nachtrieb’s Litter, and was selected to perform with the SF Conservatory of Music in A Soldier’s Tale. She also workshopped with Director Jason Moore (Pitch Perfect, Shrek the Musical) on the new musical, Tales of the City. Favorite credits include Evita (Eva Peron), The Importance of Being Earnest (Cecily Cardew), Chicago (Velma Kelley), and Threepenny Opera (Polly Peachum). You can also see Marisa at Disneyland’s Frozen Live at the Hyperion as Princess Ana! Next up is Josey Montana McCoy playing Denny. Josey is a Kentucky-born actor/singer/musician living in Los Angeles. He graduated from the University of Kentucky (BA Journalism/Theatre minor). Josey grew up performing on stage, getting his start at the beloved Jenny Wiley Theatre in Prestonsburg, KY. Josey is also the proud brother of the talented Annalyse McCoy, member of the rockin’ Metrobilly band 2/3 Goat. Theatre credits include Floyd Collins (Skeets Miller-Ovation Nomination), Bronies the Musical (Jacob), The 25th Annual Putnam County Spelling Bee (Leaf Coneybear) and Hairspray (Corny Collins). You can also see Josey as Olaf at Disneyland’s Frozen Live at the Hyperion! 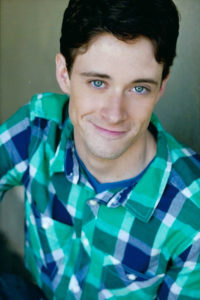 Next up is J. Thomas Miller playing Wally. Miller was born in Indiana but is now based out of Los Angeles. After playing the title role in a community theatre production Oliver! at age 12, Miller knew he belonged on the stage. 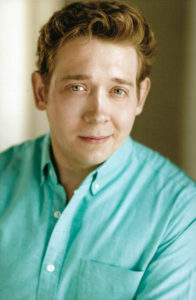 A now BFA Acting graduate of Wright State University, Miller has had the privilege of entertaining audiences across the country. Select credits include: Musical Thrones: A Parody (multiple roles – National Tour), Miss Mayor (John Knox-World Premiere), Pride & Prejudice (Mr. Bennet), Oklahoma! 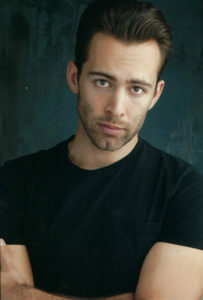 (Ali Hakim), and Legally Blonde (Professor Callahan). In his spare time, he trains in long form improve with the Upright Citizen’s Brigade and manages his own movie blog. 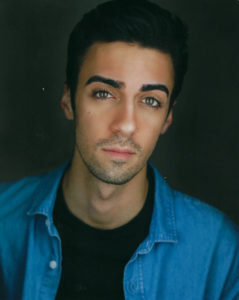 Rounding out the cast is Trevor Shor as Skip. A SoCal native and BFA Acting graduate from Chapman University, Trevor has been working in Film/TV and theatre for the last few years. You may have seen him in various food commercials, such as for Airheads, Burger King, and Hungry Man. Select theatre credits include: Bonnie & Clyde: The Musical (Clyde Barrow), Heathers: The Musical (JD), Catch Me If You Can (Frank Abagnale Jr.), and Company (Robert). Trevor has also studied improv with The Groundlings Theater. This is his first show with International City Theatre.